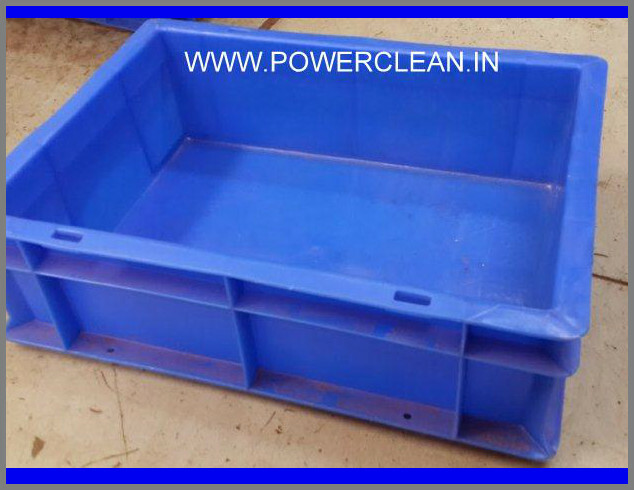 POWER CLEAN [BW] is a very effective cleaner / degreaser that removes left out Oil / Grease Dirt e.t.c from component bins / Trays very easily and quickly. Effective with Spray wash cleaning machine. POWER CLEAN- Bin Washer [BW] was formulated specifically for removing tough oil/grease and dirt contaminants from the bins and/or trays used in various industries, especially automotive component industries, to carry and store components. This bin washing cleaning chemical is a combination of highly active, fast-penetrating solvents with selected detergents designed to remove tough grease/oil, dirt and dust from bin/Tray containers. POWER CLEAN Bin Washer [BW] is a non-toxic, water-soluble cleaning chemical that removes oil, grease, dirt and dust quickly and effectively when used in conjunction with spray cleaning machines. This water-based degreaser works fast without causing damage/discoloration to the substrate (plastic container). Having a clean bin/tray is a necessity to carry and store cleaned components and this bin washing cleaning chemical does the job quickly and even in 1% dilution at times based on the contamination of the bin/tray. POWER CLEAN - Bin Washer [BW] - is supplied as a liquid concentrate. You may use this bin washing cleaning chemical diluted down with water in 1:20 concentration by volume based on contamination and within an operating temperature range of 50 to 65 degree Celsius. 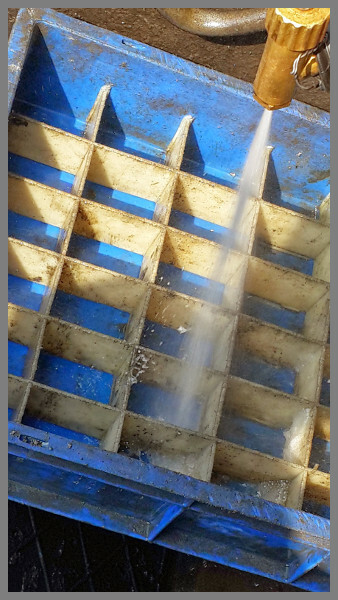 Spray agitation is used to enhance the cleaning action of this bin washing cleaning chemical. It penetrates deposits and removes oils, grease, dirt and dust from component bin/trays. The cleaner is suitable for both soak and spray cleaning action to clean dirty bins. Oils(various types used in manufacture of metal components). Crater and Lithium grease, dirt, dust. 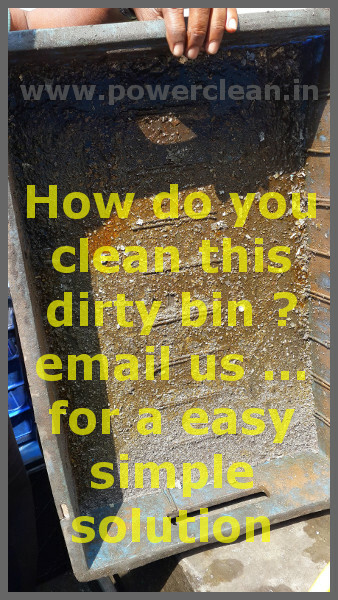 We tried Unsuccessfully many cleaner to clean our dirty bins which had never been claned for many years. POWER CLEAN BW cleaned those never cleaned Bins in minutes, where other cleaners couldn't. Great product! We use POWER CLEAN BW with our bin washing spray equipment. We are very satisfied with this product. We would recommend it. Would you like to know more about this product ? Removing Carbon Deposits from Enginge Components is one of the toughest challenge. This Alkaline Industrial Carbon Remover is up to the challenge to remove tough black and burnt carbon deposits from enginge components.